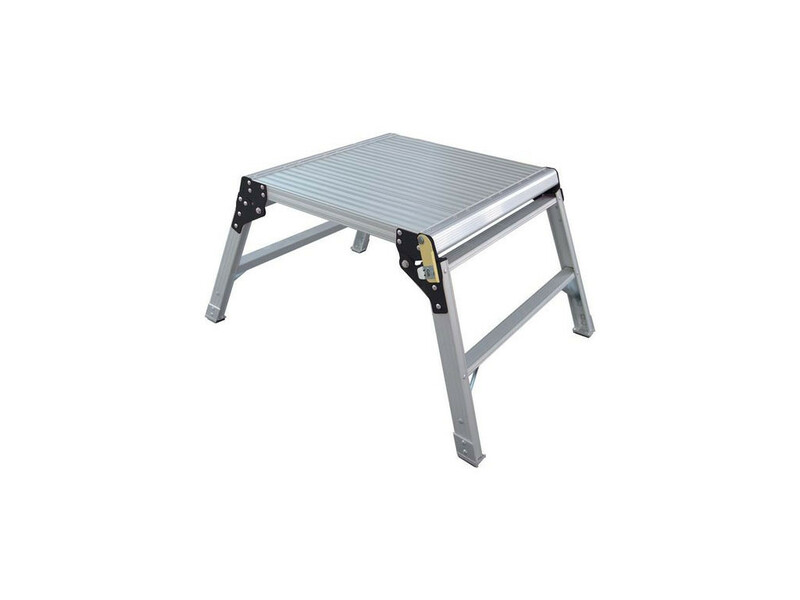 Square Aluminium Platform 60cms x 60cms, sturdy and lightweight aluminium work platform with a compact design for easy storage. It has a load limit of up to 150kg and locking latch arms on each leg and non slip plastic feet. Platform height is 50cms, ideal for painting and decorating. 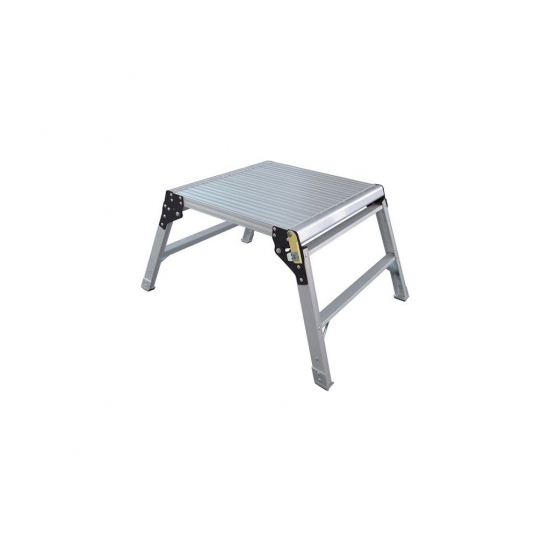 Square 60cms flat platform area reduces the number of times you would have to re-position the work platform. Dimensions; Length 60cms, Width 60cms and Height 50cms.